I find roses difficult to properly photograph. Either there is too much sun and the contrasts are deep and there is too much shadow, or not enough sun and the petals look flat and boring. 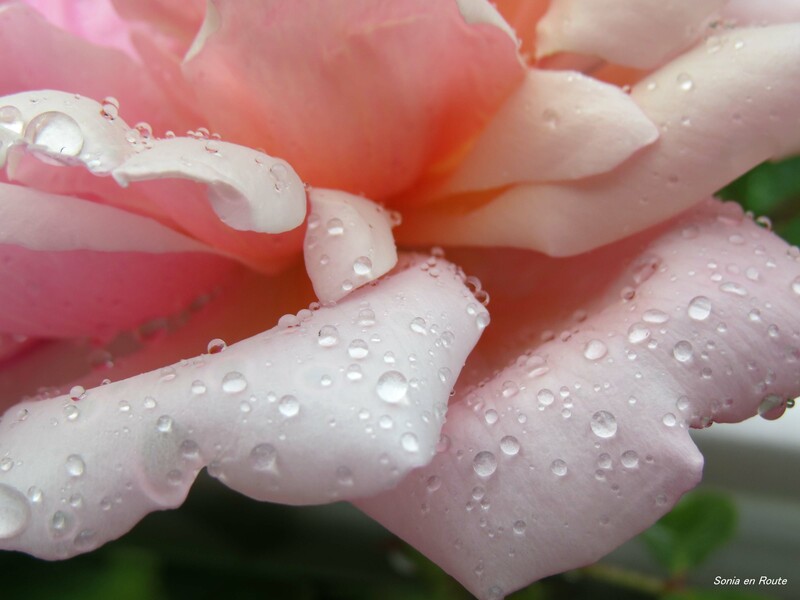 This is my rainy day rose; diffused light brings out the delicate shades of pink.